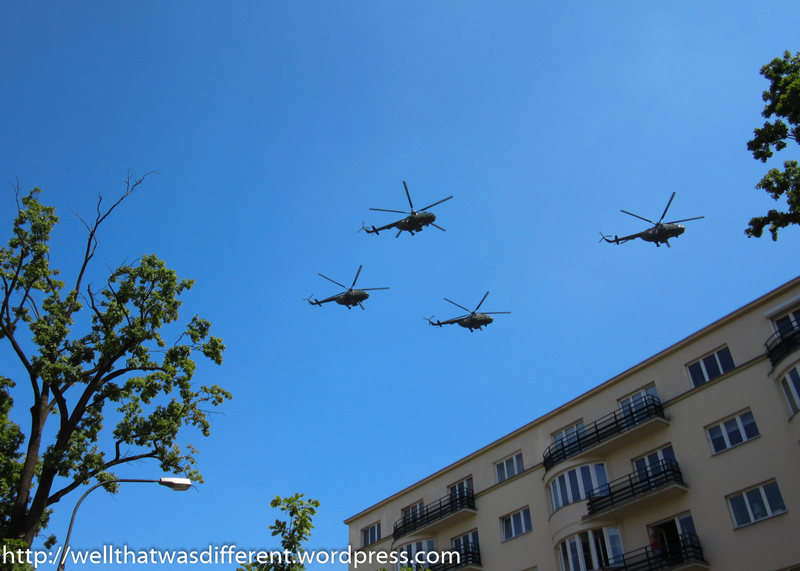 Święto Wojska Polskiego, or Armed Forces Day, is a really big deal here in Warsaw. 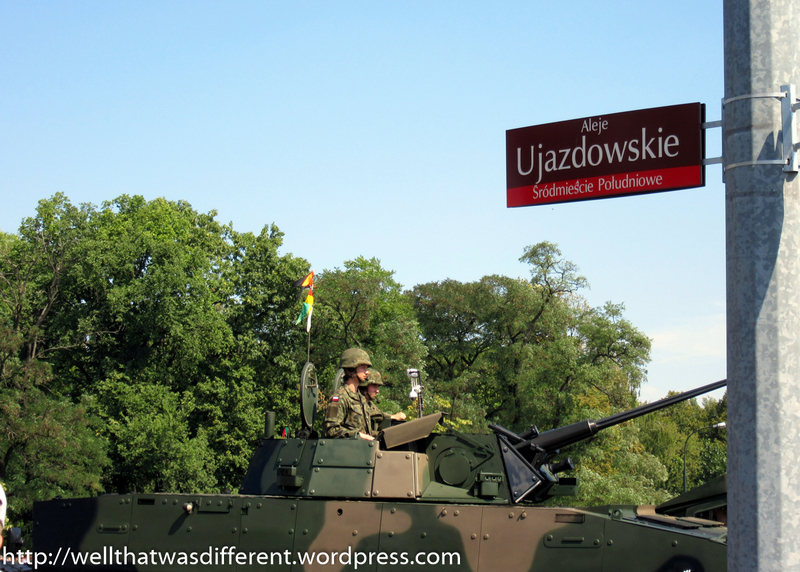 This holiday, celebrated every August 15, commemorates the Polish victory over Soviet Russia at the Battle of Warsaw in 1920. It was banned under the Soviets (who would just as soon forget about that particular battle) and restored in 1992 after the fall of the U.S.S.R. 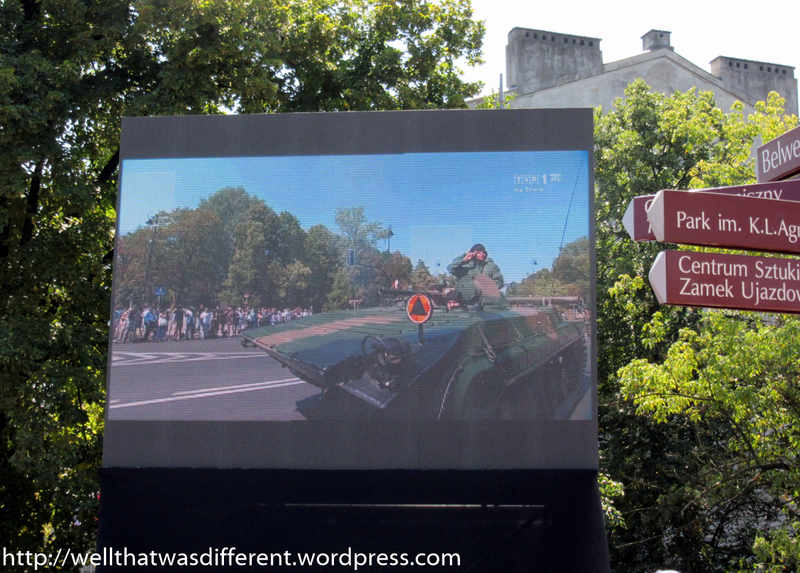 There are various celebrations all over the country, but the highlight of the holiday is a parade of military hardware and personnel through Warsaw. 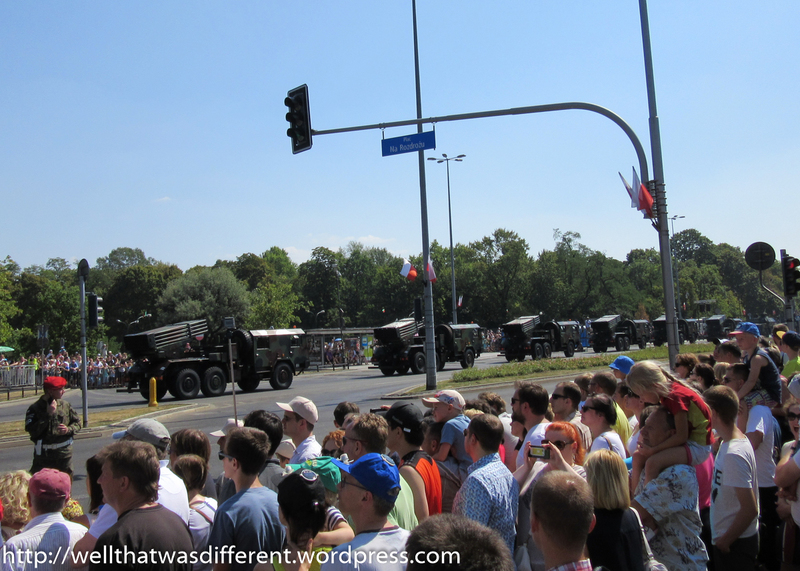 It passes conveniently right by the Russian embassy–and a couple of blocks from our apartment! 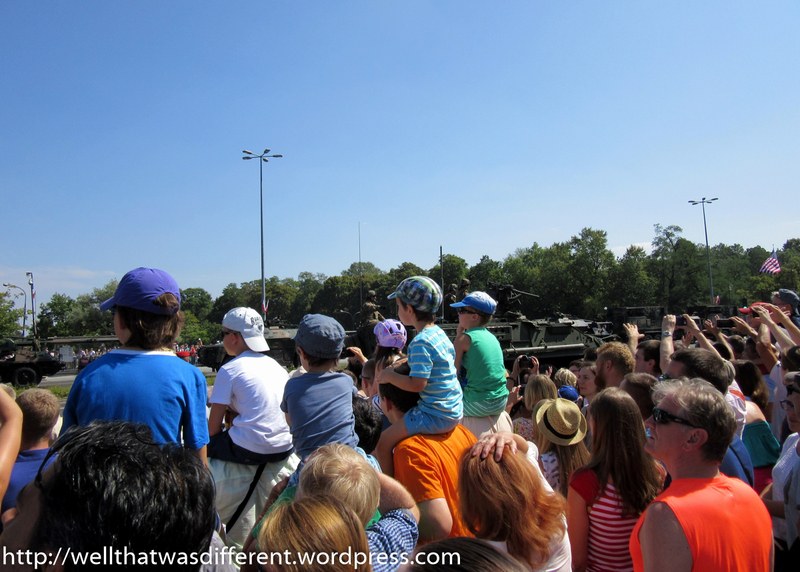 The procession included a very popular American Stryker brigade, the members of which were clearly having a great time, waving at the crowds and snapping pics from the top of their vehicles. It’s fun to be in a country that is so friendly toward America. We were a little slow on the uptake, and didn’t have a great vantage point. We’ll have to plan a little better next year! 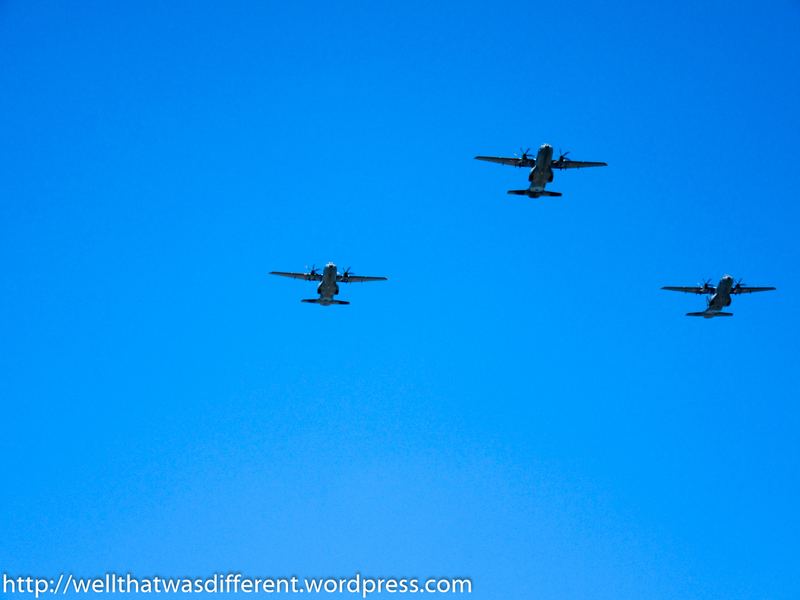 But the flyovers of military jets and helicopters were really cool, and I did get a couple of OK pictures. If you want to see more of the parade, you can see a video of highlights, complete with stirring musical accompaniment, here. 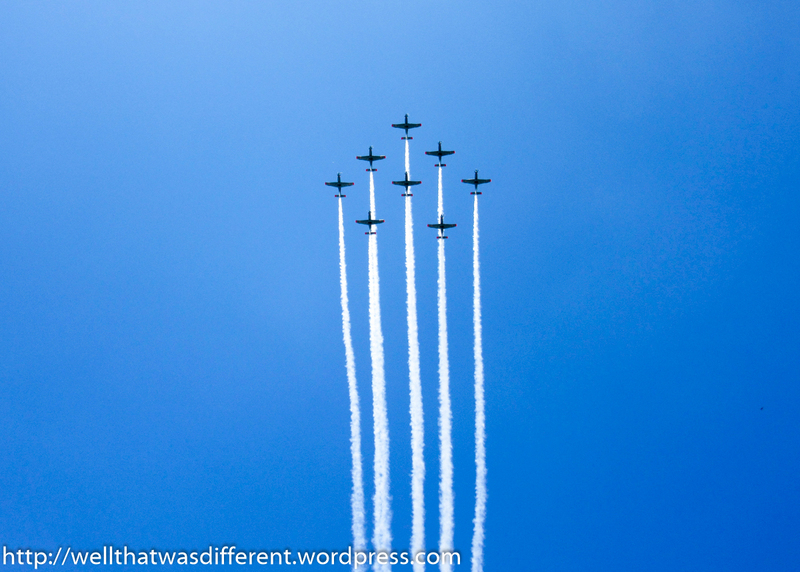 Planes, planes and more planes. 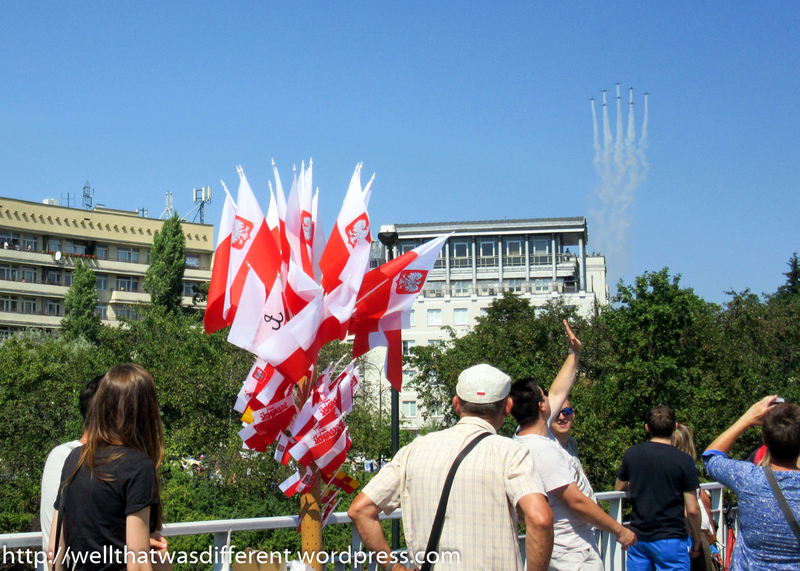 Polish flags everywhere while watching the flyovers. 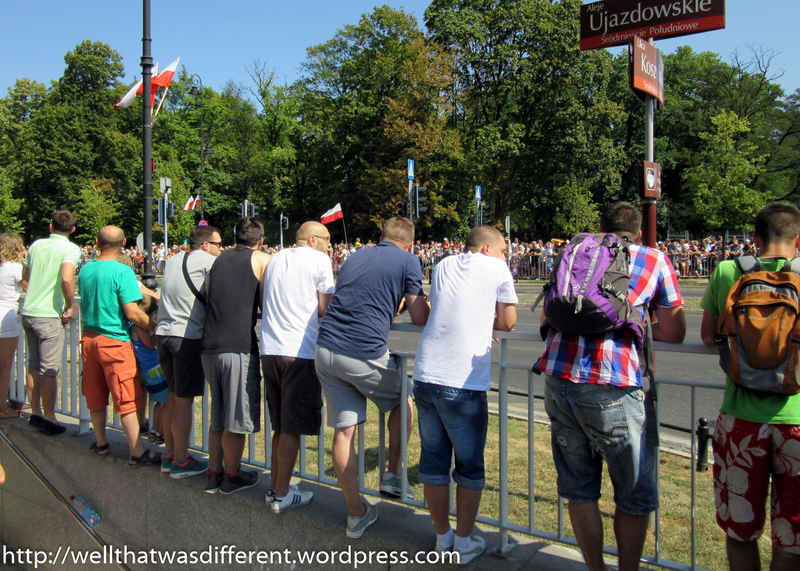 Huge crowds along the parade route despite the mid-day August heat. This parade is very popular with little boys. And big boys in in ubiquitous shorts and buzz cuts. Like America, this is not a country that concerns itself overmuch with fashion, especially in hot weather. I am fine with that! Jumbotrons for those who couldn’t get close enough to see. We would like to be there during this time of year.